The Winter issue of Sacred Music explores the question of liturgical aesthetics, and draws attention to a controversial matter: whether it is only the text that is critical or whether the music that accompanies the text should be assessed on grounds of its suitability. The answer has not be obvious to people who have written on this topic for decades. The writers in this issue include Catherine Pickstock, Elenore Stump, Mary Jane Ballou, Lorenzo Candelaria, Dylan Schrader, Joseph Sargent, Jeffrey Ostrowski, Kathy Reinheimer, and Kurt Poterack. Ok, I have a piece in here too. 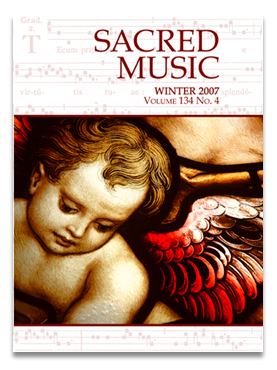 The Winter volume presents several articles pertaining to the aesthetics of sacred music. They represent a variety of points of view, and the discussion will surely go beyond the present articles. This ongoing discussion is crucial to our efforts, since of all the arts, music is most intimately linked with the sacred liturgy. Understanding the role of music in the liturgy requires not only knowledge of the principles of liturgy, but also an understanding of why the music, as an integral part of the liturgy, must be excellent, must be beautiful. There is thus a particularly important issue of practical musical aesthetics—judging the music itself. The cause of judgments about music is mission territory. Most frequently, liturgy is judged by its texts, and whatever music happens to set the text is just accepted. My point is that the music itself must be judged as music, it must be suitable to the liturgy as music and the music itself must serve the purposes of the liturgy. Indeed, although the Subcommittee on Music of the Bishops’ Committee on Liturgy is addressing the issue of principles for making a judgment about hymns to be approved, these principles will only pertain to the choice of texts, not the music. This may be a mercy, since it is difficult to conceive how an agreement might be reached on the music. Still, general principles for judging the music, I would insist, are as important as those for the text. Emphasis upon the text alone has a long history. Over the centuries, there has been a shift from the understanding of liturgical actions, such as an introit, as an action for which there is an integral accompanying chant, to actions for which there is an appropriate text, paralleling a shift from an oral to a written conception. This in turn relates to a shift in the conception of what a liturgical action is. There are at least two distinct levels at which one can speak of liturgical action. The liturgical action of the Mass as a whole is the action of Christ, making a sacrificial offering to the Father on our behalf. Its prime object of address is the Father: “Te, igitur, clementissime Pater.” Latin felicitously can place “Te” first for emphasis, while our present translation begins with “We.” A deep understanding of the direction of this basic action could bring about a shift from the prevailing anthropocentric emphasis in much practice of liturgy to a theocentric one. If this shift were agreed upon, the practice of music would be transformed. A second level of speaking of liturgical action is to speak of the discrete liturgical actions—each individual part of the liturgy is an action: a procession, a reading, a litany, etc. In the high Mass sung in Gregorian chant—sanctioned by the council as the “normative” liturgy—each of these actions has its own musical shape. It is not just that each is accompanied by its own music, but the music is an integral part of each action and serves to differentiate that action from the others. Therefore, the “choice” of the music which sets these actions is crucial. A fundamental difficulty in Musicam Sacram is that it allowed alius cantus aptus, other suitable music, to replace the proper chants of the Mass, and in practice, this has driven out the propers of the Mass. It must be acknowledged that this kind of substitution had been prepared by a common practice before the council—the requirement of singing the texts proper to the Mass was minimally fulfilled by singing each proper part to psalm tones. This is very useful: since the melodies of the psalm tones are well known and very simple, the entire proper of the Mass can be rehearsed in a matter of a few minutes, the requirement of singing the texts is fulfilled, and the singing creates a generally sacred atmosphere—since psalm tones have no place in secular music, all can easily be identified as sacred. Yet something essential is missing—they are all the same; an introit is sung in exactly the same way as an alleluia, despite the remarkable difference in liturgical function, a difference which the music of Gregorian melodies makes clear. The same could be said of the pieces of the Graduale simplex, whether they are sung in Latin or in English (as from, for example, By Flowing Waters). These melodies are borrowed from the Divine Office, where their musical shape is suited to their function there: antiphons whose simple style serves as a melodic complement to the efficient chanting of an entire psalm on a simple psalm tone, short responsories whose scope is to provide a complement to a short lesson of one verse from the scripture. In the singing of the Mass, their brevity keeps them from projecting the solemnity required, and their similar styles keeps them from showing much differentiation between very different parts of the Mass. Thus they do not quite come up to the tasks that the genuine Gregorian Mass propers really fulfill. A similar argument applies even more emphatically in the case of “songs” sung at Mass from the common hymnals currently in use. Take a specific case in point. A question and answer column in a national Catholic weekly recently addressed a question: is it suitable to sing “Let There Be Peace on Earth” at Mass? Since it was first sung at the United Nations, it is a patriotic song, and therefore might not be suitable to the liturgy. The answer was that since the text speaks of peace on earth, and this is something we pray for at Mass, it must be appropriate. No mention of its music. In fact, the melody is not in the style of a patriotic song, but rather of a Broadway musical—a show tune! There is nothing wrong with it in its own place, but it is sheer entertainment music, participating in stereotyped and clichéd formulae, representing limited emotions suited to limited dramatic situations, stroking the listener with a tune that does little more than confirm his own unreflective response to that part of the show. Curiously, this is functional music, but the function does not transcend the limits of the genre, does not lift the listener’s awareness to any higher purpose. I am saying this about the music and not the text, and this is precisely my point; even when music sets a significant text, the music itself carries particular meaning and value. In the case of a song for Mass in the style of a Broadway tune, and in the case of setting all the propers of the Mass to the same psalm tone or a brief office chant, the music has contributed only a modicum of real value. The columnist’s answer should have been, even though there are laudable sentiments in the text, the music is in the style of entertainment music and not entirely appropriate. Rather, a higher purpose should be the goal—to sing the Mass in in a way that makes it unambiguous that each of its parts serves its own distinct role, and contributes to a multi-layered sacred action, an integral part of the transcendent action of Christ himself. 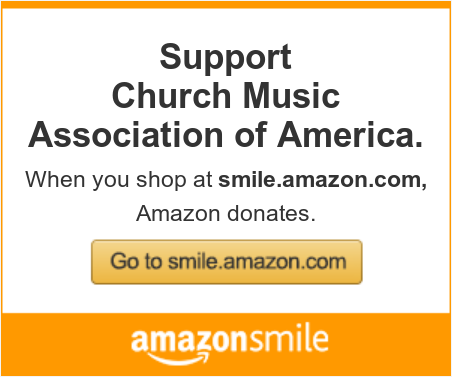 For scholas just starting out, or parishes where there is no choir but only a cantor, the CMAA offers two resources. 1) The Rossini propers, and 2) Propers of the Church Year set to their assigned tones. They are both linked permanently in the sidebar.